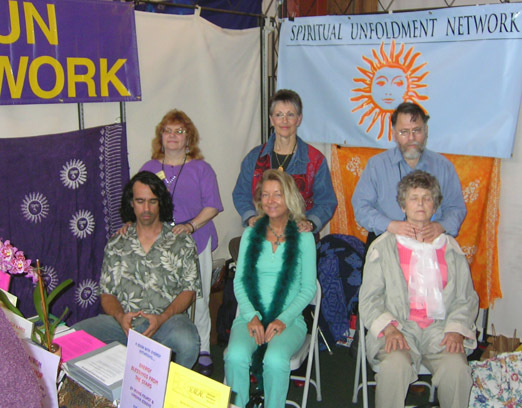 What is the Spiritual Unfoldment Network and how can they help your spiritual advancement? The Spiritual Unfoldment Network is a nondenominational spiritually- oriented network of teachers dedicated to making available to the public esoteric energy work from all major spiritual traditions. Our goal is to assist people in progressing more effectively on their personal spiritual path, at their own pace, without prescribing what that path must be. 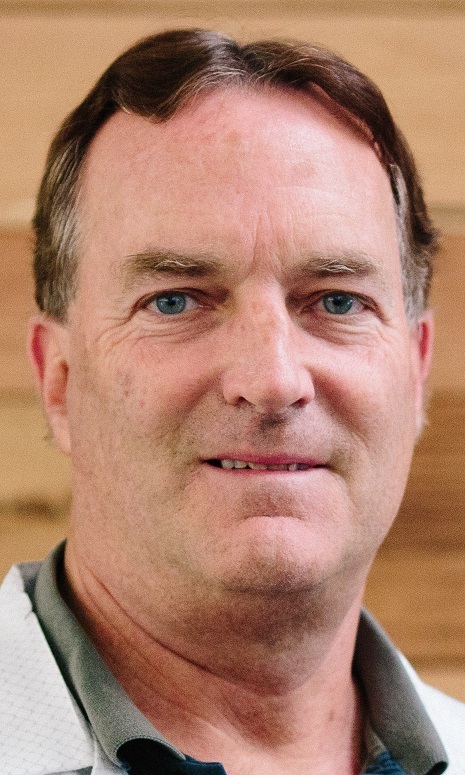 Keith Darwin Rector is a certified teacher with the Spiritual Unfoldment Network. In the past these healing energies and meditation tools were done by Guru's and today you can take a western style workshop with attunements that can cut decades of time off of your spiritual advancement. The implications are powerful for your evolution. You can access and use the attunements and blessings that in past history would have taken years in a monastery or mystery school, or perhaps be a slave to a guru or monk first to prove our selves. It is up to you to contribute to your movement on your spiritual path with daily meditation and activities with energy work and guidance. If you are on a spiritual path, many of these attunement based classes can accelerate the speed of attaining ultimate goals. Classes such as Huna from Hawaii, Drisana from Tibet as well as Egyptian, Hindu and Others from around the world. The Spiritual Unfoldment Network classes give you tools like other subtle energy systems such as Reiki, but are both spiritually oriented as well as physically balancing. Provide deeper meditation, energy work and spiritual experiences. Heart centered clearing and finding much more joy in life. Using it with yoga or historical meditations of many past systems. Using subtle energies to help with healing physical problems or stress issues. Distant classes provide education and attunements in your own home! Adding it into you daily life to enhance relationships and love. Providing help to relatives, friends and clients you work with, combining it with Massage, Chiropractic or medical work. Having fun with the world of subtle energies for pleasure and sensual enjoyment. Connecting with higher guidance and the Angelic Internet. Is There A More Effective Way To Be On Your Path? If you're like most people you have a sincere interest in personal or spiritual growth and you're open to the possibility of techniques that will assist you to progress faster. This article describes methods which have been used successfully in esoteric traditions for thousands of years, yet are only now starting to become known in our own culture. I have seen these methods create changes not achievable by any other method changes in my own life and lives of hundreds who have taken our workshops. Utilizing energy is the key to physical vitality & spiritual evolution. We are surrounded by and are an intimate part of an infinite ocean of energy. This nonphysical energy permeates all things, and all living things depend on it for their continued life and health. It is called Prana by the Hindus, Chi by the Chinese, Mana by the Hawaiians. Esoteric traditions of all ages have recognized that a master key to physical vitality and (through raising our vibrational rate) spiritual evolution is the ability to absorb and use this energy. Science defines energy as "the ability to do work" (I would rephrase this as "the ability to produce transformation") and as such, energy has the capacity to produce profound change on any level of our being ? physically, emotionally, mentally and spiritually. Our workshop graduates consistently report dramatic shifts in physical vitality, emotional well-being and relationships, mental clarity, their spiritual life and meditations. Often they start to notice changes after just coming to a demonstration or even just tuning in at home to our weekly transmission. Unlike purely physical energies, the energies we are talking about behave intelligently. Some say they are God's gifts to us and are the carriers of divine intelligence; others prefer to say they are linked in to cosmic mind. To give one of many implications of this fact, you can use these energies to do chakra work or energy balancing that goes far beyond more commonly known methods. Just as a high speed computer can do thousands of additions per second, these energies can do many times what we can, when we rely only on our own intelligence. There are many cosmic energies, not just one. Different spiritual traditions work with very different kinds of energies. For example a representative Buddhist energy and a representative Hindu energy are quite different ? have different colors, textures, do different things. Just as people respond very differently to different physical energies (e.g. that in music or food), they respond differently to the energies of different traditions. This is why the Spiritual Unfoldment Network works with energies from different cultures and why it is good to experience them to find the ones that are best for you. Through a profound initiation involving a permanent empowerment of your energy field, you can acquire the ability to access energies that would otherwise take decades of meditation. Historically these kinds of initiations were done only by gurus. Now there are organizations, like S.U.N., doing this. All of our workshops are initiation workshops in which you receive powerful energies. You can access them at any time for yourself or others through mentally directing the flow (no visualization, mantras, etc.) thereby avoiding dependence on others. Because the energies S.U.N. works with were specifically chosen to be the most effective from hundreds of initiations I have received, you will find them to be unlike any others available to the public. We believe we are setting the standard for subtle energy work. Come to a demonstration or tune in at home to our weekly transmission (Sunday 9:00 am to 9:15 am and 9:00pm to 9:15 PM ) and experience them for yourself! Keith Darwin Rector teaches, writes and lectures about many Ancient cultures deepest secrets of physical and spiritually advancing systems from around the world. Teaching in the Northern California area for SUN, touching peoples hearts and changing lives for the better with deeper meditation and energy systems is my soul purpose or mission. It is truly fantastic to be able to Run energies from all over the world, and to do deep meditations from many cultures and countries. People the world over use these powerful systems to advance spiritually. My favorite meditations are Blue Pearl, Bliss of Osiris and a Huna meditation. Favorite energies to run: Neriya, Drisana and 12 rays. I am a Reiki master, massage and accupressure trained, do Tai Chi and Mantak Chia's Taoist practices. I have taken Irving Feurst's Angelic hierarchy classes and Egyptian mystery school! People love these powerful classes. Hear their stories and comments from some of these students! Just a note on the Cross of Fire meditation. I was determined to finish it, and, not even spending the full minute on each site, went the full circle and the most amazing thing happened! At completion, my crown chakra opened up FULLY and white "fire" absolutely shot out of it, like fireworks, and connected with "heaven" creating a pillar of celestial fire. It was so cool, I just can't express it in words. -J.S. I know I am growing and my dreamlife has dramatically changed. It seems now very lifelike and event oriented rather than symbolic. Don't know what that means!! I am satisfied with how we have been doing the classes. S.M. My process with my therapist has very rapidly advanced, and emotionally I'm developing much more easily than I thought possible. After some of the angelic shieldings, I've almost immediately been comfortable in social situations that were previously intolerable. When I tried the 30-day KHU trial, I noticed energy moving through my whole body as I meditated. My dance has improved as well- I usually have a major breakthrough in difficult aerial and partner techniques after I have an attunement. I've made it through some very tough, draining times as a student because I had the support of the attunements. Sometimes I've been so burned out I can hardly think, and I'll run a little energy and I feel fine afterward. Also, I have a lot more energy to give. People tell me that when I touch them, they feel energy automatically flowing into them and filling them up. Now, I can do massage without feeling drained, which I could never do before. I'd specifically like to address second chakra issues. Like many people, I've got a lot of work to do there, and it would be a HUGE help to have angelic sheilding or some other kind of opening done there. I'd also like more classes that help me specifically connect with other people, such as the class Irving did on meeting one's soul group. I really appreciate the variety of SUN classes that are already available - that they come from many traditions and have no dogma attached. It means also means lot to me that I've never been pressured to take a class. I'm also glad that they're available over the net. I'd like to have more in terms of background philosophy at times, at least for Huna, though that can be a trap for the mind. I appreciate that I can take classes long-distance. New Living Expo show with Irving Feurst the founder running energy on the right. Contact darwin@cruzio.com and take a life changing class! DMOZ.org society and spiritual links. www.bodymindspiritdirectory.org - US Directory of many modalities. http://www.holisticlivingexpo.com/ Great local New Age fair in the SF bay area. www.clarus.com - Energy balancing and anti EMF products, pendant etc. www.q-linkproducts.com - Retail for the pendant that is a personal stress reducer (Lahovski coil). www.edgarcayce.org The best documented psychic of our times. Health and information for many problems. His holistic path is great! www.toolsforwellness.com Products for spiritual and health advancement. Sound and light, hemi sync, meditation and hypnosis recordings. Spiritual Unfoldment Network The founder Irving Feurst and the Spiritual Unfoldment Network page with information. www.esalen.com Northern California hot springs and teaching center for Golden Wisdom. www.harbin.org - Napa area hot springs and conference / teaching resort. Bodywork, breathwork etc. Over 1300 acres. www.sierrahotsprings.org - North of Lake Tahoe California hot springs resort. Schools and Education resources. www.mountmadonna.org School and conference center for education with Yoga, meditation, massage and much more. www.newlivingexpo.com - San Francisco Expo with SUN booth and many interesting and valuable people. Egyptian Mystery School ! Irving Feurst has a class series available by tape. Khu is wonderful. Etherium Gold - spiritual minerals Fellow light holders and guides to help you on your path. Martin Gray and Sacred Sites This man's work I respect and appreciate tremendously. Pictures from all over the world's best sacred spaces and power points. Must see and so is the slide show!! Environmental love of the earth and worship of all it provides. 10 to 15 % of links go bad each year, try a search for the subject on an engine if you can not connect.